Too often when you hear about Detroit, it's the story of blight in a once-booming industrial city. But Detroiters know how to make lemons out of lemonade as much as any city's residents. Case in point: Detroit's turning one urban street into a gigantic water slide this summer. Though it only installs the ride for a day, Slide the City brings ridiculously large water slides to major cities, including the Motor City's 1,000ft affair. The exact date hasn't been announced, so don’t put in your time off request just yet. But make sure you've got your bathing suit ready and ticket in hand. Or, at least in that weird inside pocket of your swim trunks. Riding will cost you a pretty penny: $15 per slide, or $50 for a day of unlimited sliding. Prices will go up as the date of the event gets closer, so early registration is encouraged. But Slide the City has teamed up with Generosity.org, and plans to donate a portion of the proceeds to fund 20 wells in developing countries. So while you have fun, other people's lives are getting better. 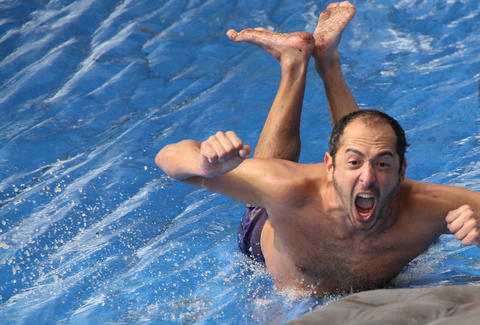 And really, how can you hate on slipping and sliding for charity?